Do You Know Your Tips for Halloween Safety? From cool costumes to sugary treats, kids can’t wait for Halloween to arrive. 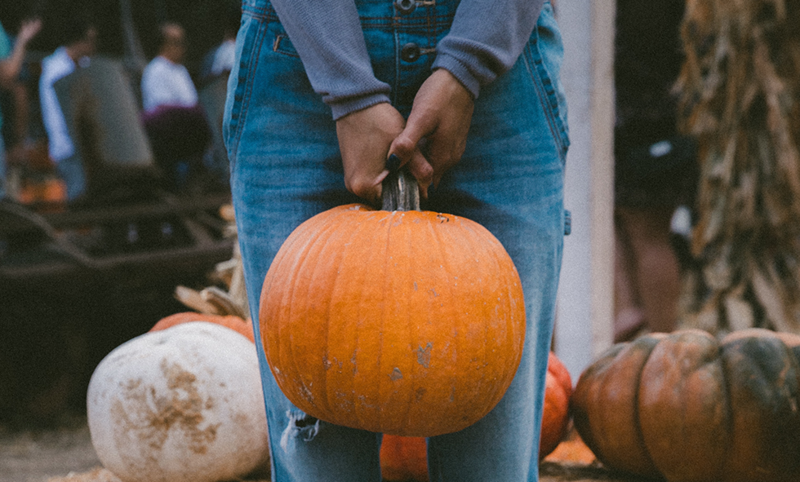 Halloween is one of the most anticipated days of the year, yet it is important to also be very cautious and know some tips for Halloween safety. In Fact, the National Safety Council reports that children are twice as likely to be killed in a car accident on Halloween than any other day of the year. 1 Here are a few tips so you can make the most of your Halloween holiday and avoid an emergency visit to see us here at CCMH! Consider buying light-colored costumes that are easy to see at night. Add reflective tape or glow-in-the-dark tape to your child’s costume and to their trick-or-treat bag. Some children enjoy carrying glow sticks or flashlights as well. Ensure your child knows not to break into the glow stick because the contents are toxic. Make sure all costumes are flame-retardant. If you make a costume, use nylon or polyester materials. Accidents can occur not only because children are distracted on Halloween, but because some costumes make it difficult to see. Consider using non-toxic face paint or makeup instead of masks. It is illegal to sell colored or decorative contact lenses. Only use them if a licensed optometrist prescribed them. When not prescribed and ensured for safety, colored contacts may cause inflammation and pain and serious infection, which may cause permanent vision loss. Talk to your child about how to be safe with any costume props by avoiding swinging or throwing them. Props that are plastic, lightweight and flexible are best. For younger children, put their name, your name and contact information on a notecard in their pocket. Halloween is not the best night to let an unexperienced driver occupy the roadway. Compromise by allowing older kids to walk the neighborhood with their friends but pick them up and drop them off at designated locations. Also know the route they plan to walk beforehand. Remind your kids to put electronic devices down and pay close attention when crossing roadways. Teach your children to use crosswalks, sidewalks and lit areas and never assume drivers will stop. When possible, tell them to try to make eye contact with drivers so they can be certain they are seen. Although they are excited, remind your children to walk, not run. Running in the dark often leads to serious accidents. Discuss safety tips concerning strangers with your children. Remind them not to go up to houses that do not have the porch light on and not to enter the home or vehicle of strangers. A good meal prior to trick-or-treating will discourage your child from filling up on Halloween treats. Fortunately, candy tampering is rare. However, help your child check all treats to make sure seals are not broken and packages have no holes or tearing. Throw away spoiled items and homemade treats that were made by strangers. Ensure young children do not have candy that may cause choking. Make sure children know not to eat any candy until they are home so you can inspect it. Halloween can be challenging if your child has food allergies. It’s important that parents closely examine Halloween candy. Always read the labels on treats. Many popular candies contain common allergens, such as peanuts or tree nuts, egg, soy wheat or milk. If the ingredients aren’t listed, hold a treat “exchange” with other friends. Candy is often high risk and contains trace amounts of common allergens because it is usually manufactured in factories that produce many different products. “Fun size” candy bars sometimes contain different ingredients or be made on different equipment than the regular size candies, meaning that brands your child previously ate without problems could cause a reaction. Ensure the safety of your home for other children too. Remove anything that could cause them to trip or fall. Make sure the lights are on outside your house and light the walkway to your door. Keep pets away from trick-or-treaters. We hope you have a safe and happy Halloween! 1 National Safety Council. 2018. Halloween Safety On and Off the Road. The Survival Flight, a service provider for Comanche County Memorial Hospital, announced their official opening with a ribbon cutting with the Lawton Fort Sill Chamber of Commerce Red Coats Friday. The Drewry Family Emergency Center supporters, Stephanie and Bill Drewry, were in attendance to help in the celebration along with local and surrounding area police, fire and emergency personnel. Five years ago this past September, my Dad, Jim Mulkey, had an accident in which he broke his neck and suffered a spinal cord injury. He was left partially paralyzed and as a result of complications from the fractured vertebrae, he had to undergo the insertion of a peg tube for his nutrition, and later, a tracheotomy. After a lengthy eight month hospital stay where he completed intense rehabilitation, he was able to return home. Doctors from the Memorial Medical Group(MMG), and their staff, have been a wonderful resource in managing my Dad’s ongoing overall care since his return home. With the challenges my Dad continues to face, sometimes, emergency situations involving his health can arise. When they do, we are so fortunate to have access right here in Southwest Oklahoma to outstanding, personalized care at the Drewry Family Emergency Center. My Dad has been treated four times over the past four years. The doctors, nurses and staff have done a great job meeting his very specialized needs. Our family is so grateful knowing that help is right here at home when and if we need it. Despite all of the obstacles my Dad has faced, he has continued to progress every year since the accident and is now walking! Thanks to CCMH for helping us along the journey! Foundation, by email: LeaAnnChandler@ccmhonline.com or phone: 580.250.5989. Phase I of construction of the new Drewry Family Emergency Center is now officially open for business. The new center features: nearly 30,000 square feet of new construction, the addition of a rooftop heliport, an on-site state-of-the-art CT scanner and 5 new trauma rooms. Phase II consisting of renovation of 11,218 square feet of the existing Emergency Department is scheduled to open by end of year 2016. Upon completion, the new Drewry Family Emergency Center will provide 40,142 square feet of space and 38 treatment rooms expanding capacity by fifty percent. Dustin Williams, Radiology demonstrates the dedicated CT in the new Emergency Department. By having a CT housed in the ED, patients will have faster access to life-saving diagnostic imaging. Tuesday marked the completion of Phase I construction of the Drewry Family Emergency Center. Over 200 community members attended the open house and ribbon cutting. The Drewry Family Emergency Center is scheduled to open July 2016. The project includes renovation of 11,218 square feet of the original Emergency Department, built in 1984, and the addition of over 30,000 square feet of new space, expanding capacity by approximately 50 percent. As one of the busiest emergency centers in Oklahoma, the goal of the new center is to provide a spacious and comfortable environment to provide the most medically advanced, compassionate and prompt emergency care possible. As part of the ceremony, Survival Flight (CCMH’s newly contracted emergency air transportation company) made the first landing on the new helipad. Upon completion of the addition and renovation to the hospital, the ED will increase its present size by a total of twelve (12) additional treatment rooms. The additional space will accommodate the increase in volume, experienced by CCMH, since it was originally completed in 1984. In addition, this project includes 3,715 square feet of shelled space, constructed in anticipation of future growth demands. When Phase II is completed, the bed count for the ED will total 38. In the future, additional beds can be provided by renovating the shelled space, as provided during this phase of construction. The project will include the addition of 28,924 square feet of new floor space, and 11,218 square feet of renovated space, for a total of 40,142 square feet of completed space. Two (2) of the twelve (12) new rooms are Level 3 trauma rooms. The expansion also includes an on-site, diagnostic imaging area, in addition to the relocation of the current ground level heliport to the roof of the addition. Lawton, OK (June 16, 2016) – Comanche County Memorial Hospital (CCMH) was pleased today to receive a generous donation to the CCMH Foundation for construction of the hospital’s new regional Drewry Family Emergency Center. A check in the amount of $50,000 was presented to the Comanche County Memorial Hospital Foundation by Terry and MG(R) Lee Baxter in memory of Mrs. Josephine Giannella, the late mother and mother-in-law of Terry and Lee Baxter. The lobby of the new Drewry Family Emergency Center will bear her name to honor her memory per the family’s request. Brent Smith, Chief Executive Officer of CCMH stated “We are sincerely grateful to Terry and Lee Baxter for their generous donation to support the hospital. As the regional referral center for Southwest Oklahoma, CCMH operates one of the busiest Emergency Departments in the state, providing approximately 55,000 visits annually. The Baxter’s are well-known for their contributions to the community and the fact that they have chosen to make this donation on behalf of Mrs. Josephine Giannella is a wonderful way to pay tribute to a life well-lived”. MG(R) Lee Baxter said “Through the years Josephine spent in Oklahoma, her medical needs were met by the caring staff of CCMH. We always felt comfort in the fact that the medical staff that tended to Josephine were thoughtful, compassionate and kind. We feel a great way to memorialize her is through supporting the CCMH growth that can further care for many families and their loved ones”. Josephine Rossi Giannella, was the mother of Theresa Marie (Terry) Giannella Baxter and mother-in-law of the former Fort Sill Commanding General Major General Lee Baxter. She was born in Italy in 1920 and immigrated to America when she was 15 years old, where she was reunited with her father and other family members in New Haven, CT. At age 17, she married her life-long love, Mario, also an emigrant from her hometown. They settled in Paterson, NJ where the family established the Giannella Baking Company, which flourished into a leading Italian Bakery in New Jersey and New York. Despite little knowledge of the English language, the Giannella’s achieved the “American Dream” in every sense. They were true American Patriots. Josephine was integral to the success of the family business, while devoting herself to raising three successful children: Terry, a speech-language pathologist; Ralph, a Medical Doctor and Mario, Jr., a physicist within the U.S. National Laboratory System. 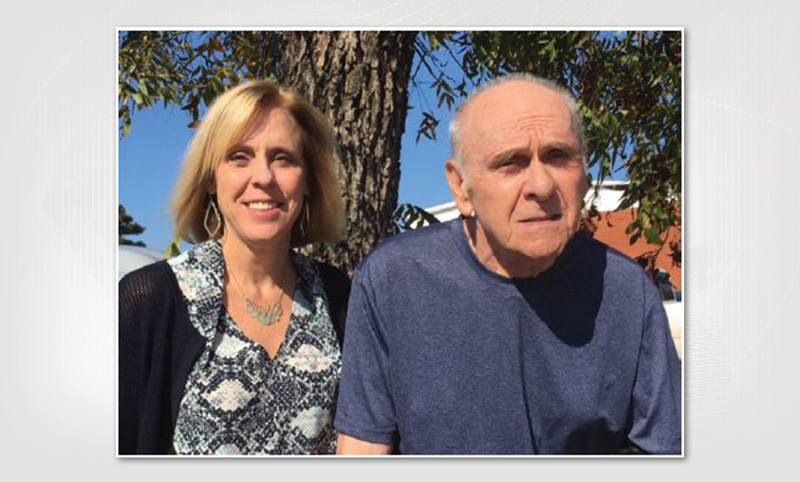 While Josephine and Mario had little formal education, the Giannella’s appreciation for education is reflected in the accomplishments of their children. Josephine was smart, of strong character and values, was witty and possessed a delightful Italian accent. After her husband’s death in 1980, Josephine single-handedly owned and managed her own business, the M. Giannella Delicatessen in Westwood, NJ. She was an astute businesswoman, and a loving grandmother and great-grandmother. In 2004, Mrs. Giannella relocated to Lawton, OK to join her daughter. Over a period of seven years, she was frequently treated in the Emergency Department at Comanche County Memorial Hospital. A gift, in Memory of the beautiful life of Mrs. Josephine Giannella, was made to show appreciation to those who cared for her so well, until she perished at the age of 91 on January 17, 2012. The Ribbon Cutting for Phase I of the Drewry Family Emergency Center will occur on Tuesday, June 28 at 2 pm in the new center. Phase II, consisting of the renovation of the existing CCMH Emergency Department is scheduled to be completed and open to serve patients by the end of 2016. In January, 2014, Comanche County Memorial Hospital broke ground on construction of a new state-of-the-art Emergency Center located on the southwest corner of the hospital’s existing building. The project includes 28,924 square feet of new construction, and the renovation of 11,218 square feet of the Emergency Department originally constructed in 1984, bringing the new center to 40,142 square feet of usable space with an additional 3,715 square feet of shelled space to accommodate anticipated future growth. The new construction is slated to be complete in June, 2016 with the renovation of the existing area finalized by the end of the year. The new Drewry Family Emergency Center will increase the number of treatment rooms by 12 to include two new Level 3 Trauma Rooms, state-of-the-art diagnostic imaging, designated specialty treatment rooms for obstetrical and psychiatric patients and a rooftop Heliport landing pad. The center has been designed with modern design efficiencies in conjunction with input from the physicians and staff of CCMH Emergency Services. The current CCMH Emergency Department provides about 55,000 patient visits annually making it one of the busiest Emergency Departments in Oklahoma. Lawton, OK (June 15, 2016) – Comanche County Memorial Hospital (CCMH) announced a Check Presentation Ceremony is scheduled for Thursday, June 16 at 2 pm in the Maple Conference Center where a major donation will be made to the CCMH Foundation for the construction of its new state-of-the-art regional Drewry Family Emergency Center scheduled to open this July after nearly three years of construction. The donation being made by a distinguished local family will be announced, along with a construction update about the new Emergency Center which will open in two phases. A Ribbon Cutting Ceremony for Phase I of the new construction will take place at 2 pm on Tuesday, June 28, 2016, with Phase II of renovation of the existing Emergency Department to occur before the end of 2016, completing the project. On January 17, 2014, CCMH broke ground on construction to build a new state-of-the-art regional Emergency Center. The plans were to nearly quadruple the space of the existing Emergency Room opened in 1984. The new Emergency Center will increase treatment room capacity by 50% which will allow more patients to be treated in a larger facility with modern design comfort and efficiency. Details about the donation and the new Emergency Center will be provided in a Check Presentation Ceremony on Thursday afternoon.